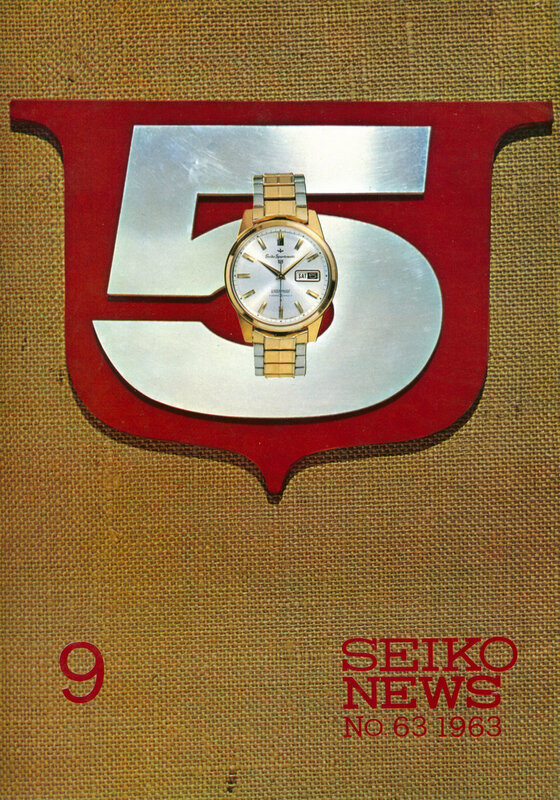 In September 1963 Seiko announced the release of the first Sportsmatic Five model. The Five went on to be one of the most popular lines from Seiko with hundreds of different models released. The initial model in the Five series was a huge success but was comprised of a plated case and basic bracelet. The watch cases did not hold up to sustained use and while the movements, dials and hands of examples seen today are normally in great condition the cases are usually heavily pitted and in poor condition. 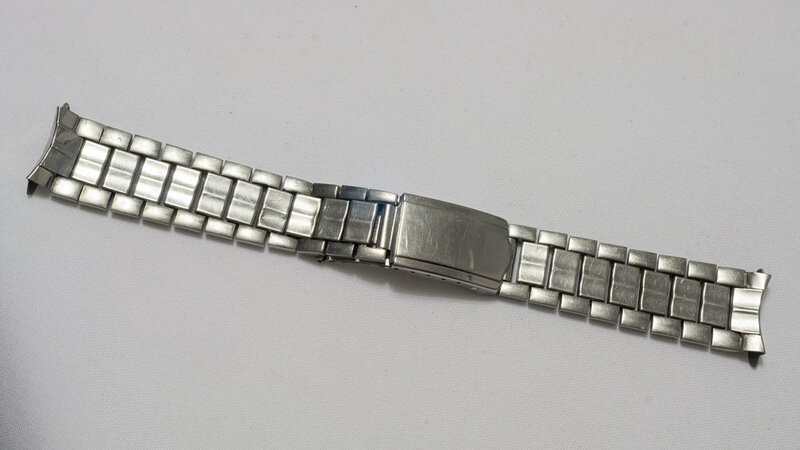 The original supplied bracelet is almost never seen with the watches and even the example at the Seiko Museum in Tokyo and the one commonly featured on Seiko websites has the incorrect bracelet attached. Looking at the build quality of the case and bracelet you can see why the feature of “Durable case and bracelet” was not one of the original five key features for the model. The original five key features, and the subsequently updated list can be seen HERE. 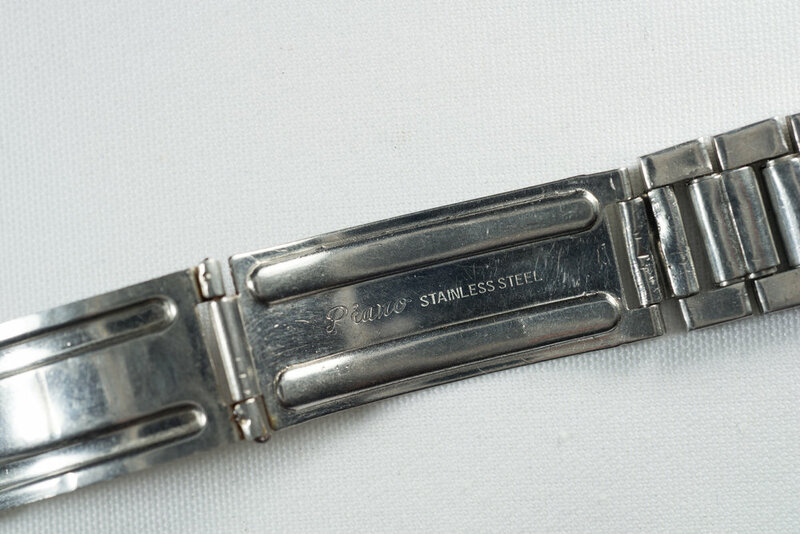 The original bracelet for the first model can be seen on both the front cover of the September 1963 Seiko News issue, as well as in the article announcing the models release. There were two different bracelets, a two tone version for the GP model as well as a standard stainless version for the regular plated model. Since seeing the example presented at the Museum a couple of years ago I have been on the lookout for an original bracelet. Like most of the early 1960’s Seiko models the bracelet was unsigned and typical of the period relatively poorly constructed in comparison to the bracelets of the 1970’s. When seeing the quality of these early 60’s bracelets it is not surprising that most of them did not survive and would have been replaced by their owners over the years. This is especially true for the lower priced models where owners wore them as everyday beaters and did not treat them with the same respect as higher end models. 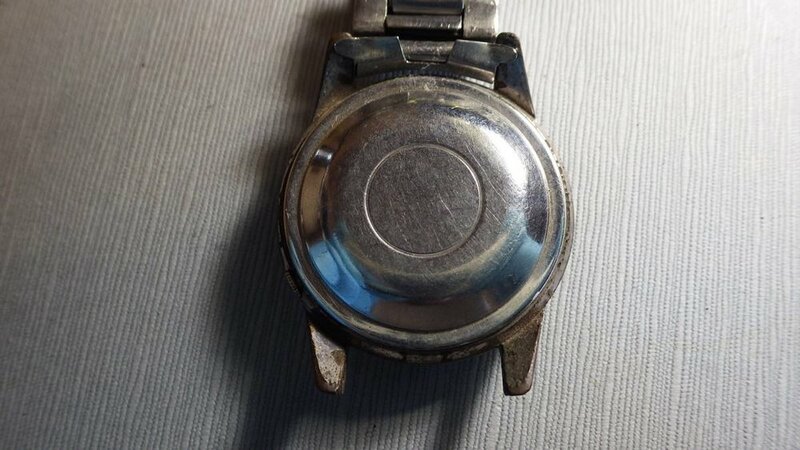 Recently while browsing Japanese watch auctions I spotted a Sportsmatic Five model with what appeared to be part of the original bracelet. The auction images did not show much of the bracelet and only one end was connected to the watch head. Without having any idea of how much of the bracelet was even there, I put in a low bid as I figured it would at least give me some clues on the original bracelet. I managed to win the auction for a low price and when it was delivered I was somewhat stunned to see that it was the complete bracelet. 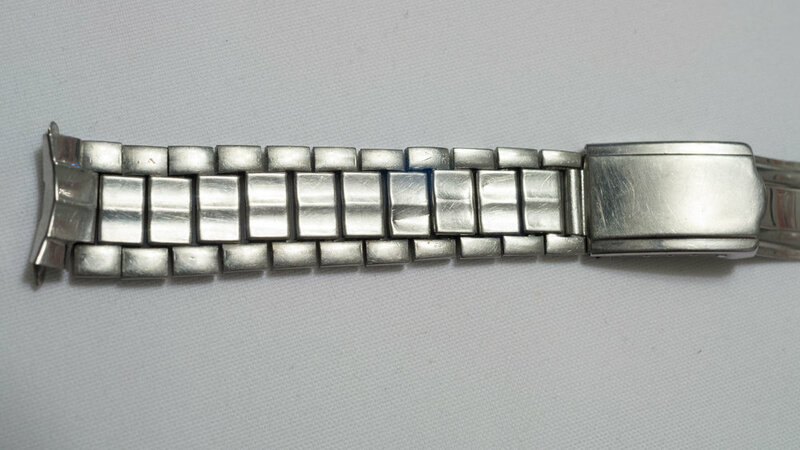 The spring bar on one side of the watch had failed and luckily the end pieces are attached to the main bracelet parts. The bracelet was filthy but after a quick clean and a few trips to the ultrasonic it came up OK. There are a few dents in the bracelet and numerous minor scratches but no significant damage. The bracelet clasp has been repaired in the past with the central hinge pin replaced, but it is functional and does not affect operation. 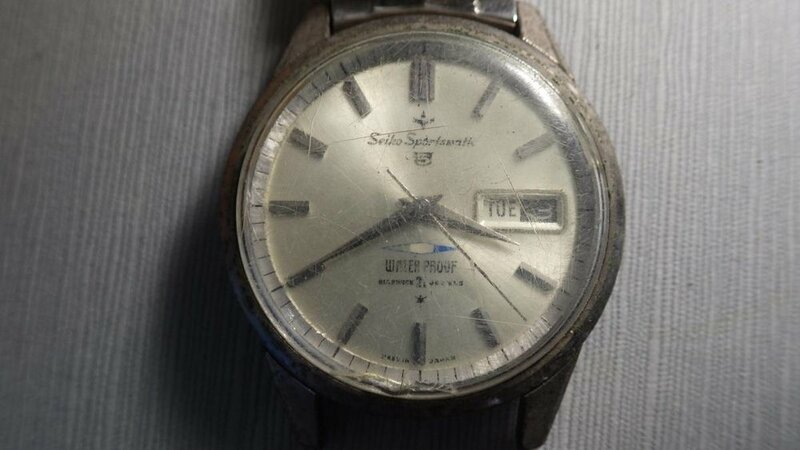 As you can see the bracelet is not marked with a Seiko clasp but this is typical of the early 60’s Seiko models. You can see from the clasp shots the bracelet is branded with Piano as the manufacturer. Due to the rare nature of this bracelet and the importance of being able to present the first Seiko Five model correctly I will donate this to the Seiko Museum in Tokyo during my next visit. Luckily I now know what the correct bracelet for the model is, so I will keep an eye out in the future for one for my personal collection.